The themes of nature, motherhood, love, loss, the sea, and death dominate Yvette Doucette’s writing, which has been described as “lush, sensuous, and heart-driven.” She is a founding member of WWW, a writing group of eight women—check them out at https://peiwww.wordpress.com/. Yvette has written and performed monologues at the Guild in Charlottetown as part of the show Solo Works, and on Victoria Row as part of a summer Jazz and Poetry on the Street series organized by poet and educator, Richard Lemm. In 2006 and 2007 she was commissioned by CBC to write for, and compete in, the Island portion of the CBC Poetry Face Off. 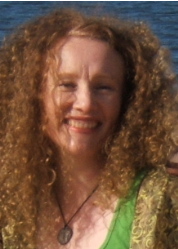 She facilitates after-school creative writing classes for students and won the 2011 PEI Writers’ Guild Island Literary Award for Young Writers Service. Her poetry has been published in Letting Go: An Anthology of Loss and Survival (Black Moss, 2005), Arts East Online (2011 Summer), and in The Great Black North (Frontenac House, 2013). Yvette has also had poetry appear on cakes, in boxes, and other Peake Street Collective and “this town is small” formats http://thistownissmall.wordpress.com/category/contributers/yvette-doucette/. She has written for SaltScapes, and as a freelance writer has created work for CulturePEI, UPEI, News Minute Network, the PEI Writers’ Guild, and others. Yvette is currently polishing up a manuscript of poetry.